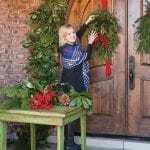 Designer Mara Lamb Malcolm shows us how to create a festive door decoration in just a few simple steps. 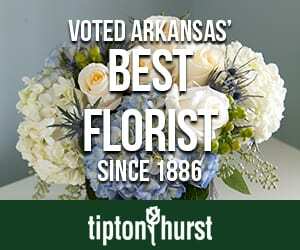 Start with pine and cedar boughs. You can use scraps if you have used these pieces in other areas of your home. Depending on the size of your door, combine a selection of these pieces and bind together with floral wire. Attach this grouping to your door with the appropriate hardware. Note that we ran a strip of red velvet ribbon down the door to provide contrast to the greenery. 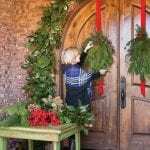 Fluff the boughs by wiring in pinecones, berries, magnolia leaves, and any other fresh foliage, fruit, or other décor of your choosing. To keep the swag fresh throughout the season, use a mister to spritz the greenery every other day. 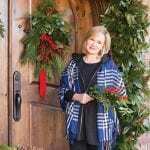 To see more Christmas decor from designers Mara Lamb Malcolm and Retha Lamb, click here. friday favorites: let the festivities begin! 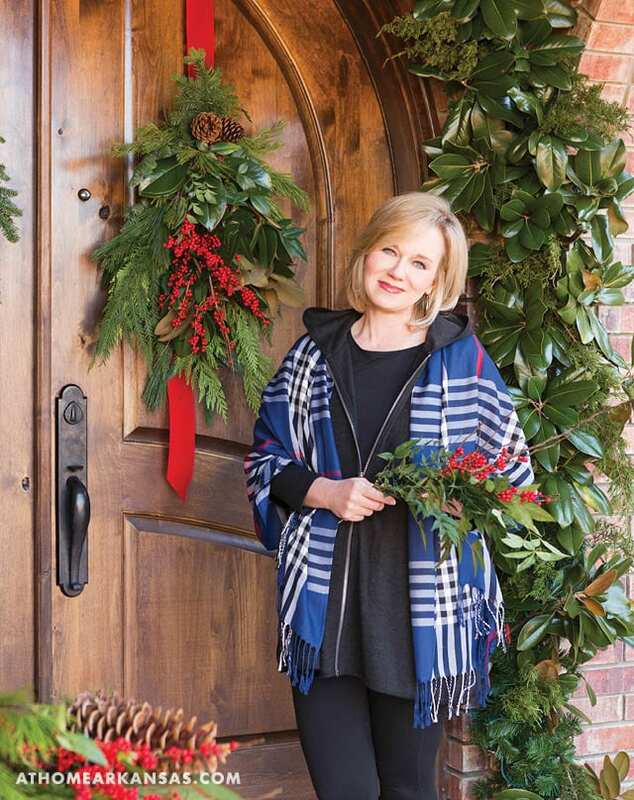 In the December issue, we asked members of the Northwest Arkansas chapter of ASID to share some fun and simple DIY holiday decor projects with us. 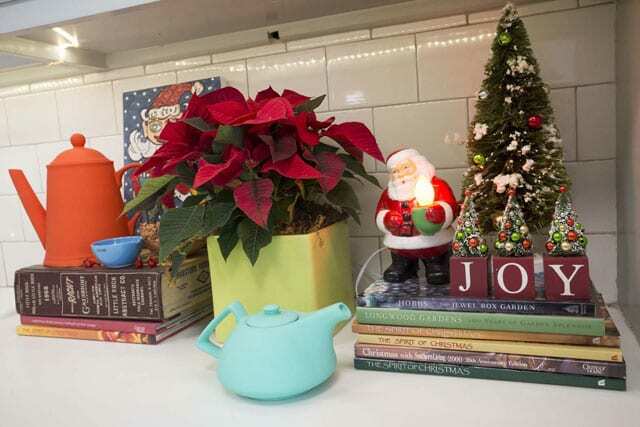 We are so in love with these crafts, we’re contemplating hosting our own holiday DIY party! While the print edition featured a handful of our very favorites, we’ve posted expanded content on the At Home site, with five projects not seen in the magazine! Click the links below for instructions on creating these gorgeous decorations yourself!